Description: A fire engineer is needed by an innovative solutions provider that enables older people, or those with complex health needs, to live more independently and enhance their quality of life. The fire engineer will commission and maintain a range of in-house and third party fire detection systems. If you have some experience of fire alarms this is a great opportunity to join a growing team who are experts in deploying technology to enhance lives of people in their own homes, residential homes or supported living accommodation. Also, our client is interested in helping the successful candidate to achieve Fire Industry Association (FIA) accreditation. Description: Our client provides network engineering and support services across a broad range of industry sectors. The Senior Network Engineer will manage the network services business unit Senior Engineering Team. Description: Forces Recruitment Services are currently recruiting for Trainee Enforcement Agents for one of the leading companies in the revenues collection industry. Description: Forces Recruitment Services are currently recruiting for a Crane Service Engineer to join the team at Europe`s leading supplier of vacuum handling equipment, restricted access lifting machinery and mini cranes for the construction, rail and utility sectors. 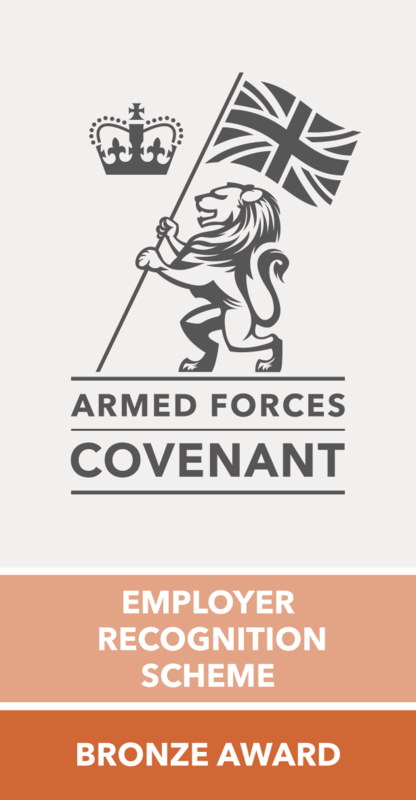 Applications from Ex-Military personnel are strongly encouraged (British Army, Royal Air Force, Royal Navy and Royal Marines) however all applications will be considered The Crane Service Engineer will be required to oversee the maintenance, operations, service and repair of lifting equipment and mini cranes, will have proven previous experience interacting with both customers and delivering training to the work force; will be a team player who thrives on problem solving and enjoys utilsing an extensive technical knowledge as part of their day to day routine. The Crane Service Engineer will take great pride in delivering outstanding customer service and will be required to work between both the workshop and on site. Description: Proceed to customers premises as advised, report to the Customers contact, locate equipment, diagnose fault, once the fault has been diagnosed inform Service Coordinator and the customer of the approximate time of completion. Rectify any faults as required by the Customer, ensuring that the machine is left operating in a safe condition and that the work has been carried out to the customers satisfaction To carry out routine maintenance as directed ensuring that all necessary service parts are available prior to attending customers site, all quoted work to be highlighted by liaison personally with the customer To liaise directly with the customers whilst on site to endeavor to obtain their agreement to proceed with any follow up repairs or other work that may be required following a service or repair to obtain a valid purchase order number where necessary authorising such a repair. It may be necessary to provide verbal estimates in conjunction with the Service Manager/ Supervisor. Description: An innovative software solutions company needs a Project Manager with experience of software delivery in the finance sector (on the vendor-side rather than in-house project roll-outs). The Project Manager will ideally be experienced working for SMEs, such as a small start-up, or a dynamic FinTech company. The Project Manager will have excellent communication skills and the ability to manage internal and external stakeholders to successfully deliver multifaceted projects. The Project Manager will, therefore, need to be a passionate leader with the drive to keep motivated until a successful result is achieved. This is a fantastic opportunity to become part of a rapidly growing company through and to gain great visibility within the financial services sector.